In Aspen, skiing is as natural as breathing. So it’s no surprise it’s the chosen location for the 2017 FIS Ski World Cup Finals, the first time the event is being held outside of Europe in 20 years. It’s also the first time the men’s World Cup has been held in Aspen since 2001. The World Cup Finals span March 15 to 19 and bring both the men’s and women’s tour to Aspen—along with all the thrills that go with it. 2017 Audi FIS Ski World Cup Finals Trailer from Aspen Snowmass on Vimeo. Aspen’s rich history of ski racing stretches back more than 70 years. Aspen first hosted alpine ski racing with the U.S. Nationals back in 1941 and in 1950, the city was the chosen as the first FIS World Championship outside of Europe. Its choice as the location for the first official World Cup race in 1968 solidified Aspen’s status as an iconic location on the World Cup circuit. The technical and steep slopes of Aspen Mountain continue to serve as challenging terrain where the world’s top ski racers continue to compete and thrive, helped by a community in which the excitement is palatable. While it may be tough to check out each and every competition scheduled during the World Cup Finals, you can ensure you hit the biggest highlights by putting these three must-see races on your agenda. Not only does this first race kick off the entire event, but it gives a nod to Aspen’s ski heritage. The winner of the men’s downhill will receive the Roch Cup, which was held in Aspen regularly from 1946 to 1967. Slalom races are always impressive, and the men’s and women’s competitions are conveniently back-to-back on March 16. As an added bonus in the women’s slalom, you’ll be treated to the performance of U.S. 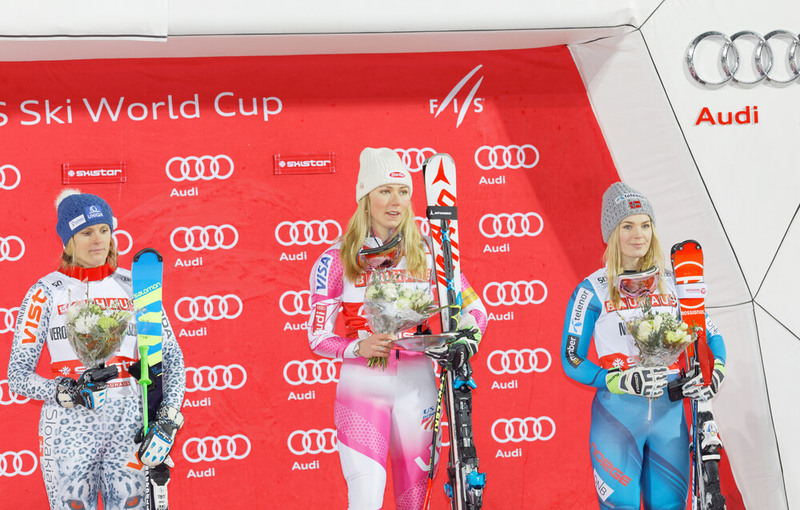 Ski Team racer Mikaela Shiffrin, reigning Olympic and world champion in slalom as well as three-time winner of the WC slalom event. All races held in Aspen will air live on prime time in Europe, which is home to the largest ski racing TV audience. As skiing is the most celebrated activity in Aspen, you can be assured the festivities surrounding the 2017 World Cup Finals are expected to be over the top. An ongoing festival coincides with the WC events, running from approximately 2 to 9 p.m. from Wednesday, March 15, to Sunday, March 19. All celebrations will be held in Aspen’s Wagner Park (map), located a short distance from the finish arena in the center of the city. The festivities are designed to pay tribute to Aspen’s notable ski racing history while showcasing Aspen’s exceptional dining and entertainment. The agenda includes numerous parties celebrating everything from the World Cup Finals kick-off to a grand finale thank-you party for the community and volunteers at the event’s culmination. Autograph sessions are also on the lineup, as are daily Bud Light HiFi Free Concert Series performances at 7 p.m. on Thursday, Friday and Saturday. The Crud Party at 2 p.m. on Saturday gives you a chance to sample the infamous prohibition cocktail. A fireworks display here over Aspen Mountain’s Little Nell run provides the perfect way to wrap up Saturday evening. You can review a full festival schedule here, as the events really are too plentiful to list. That’s no surprise for Aspen, either, as evidenced by retired U.S. skiing coach, skiing promoter and Alpine Skiing World Cup co-founder Bob Beattie. 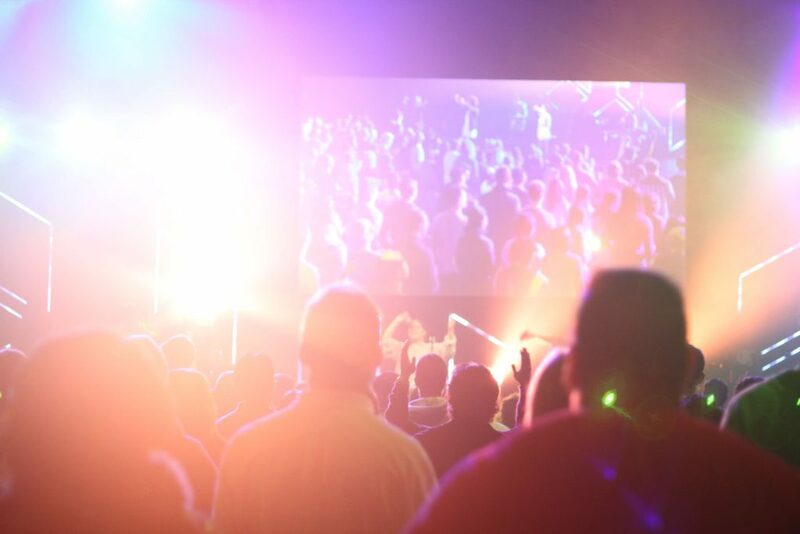 There’s no better place to experience it all than in the center of all the action. For those fortunate enough to have booked accommodation here at The Little Nell, you’ll be a stone’s throw and a lift ride away from the races on Aspen Mountain.